This was a major change of direction for Jazz History writing, previous histories having been written based largely on interpretation of cherished surviving recordings and experiences already remote from the historical period during which jazz emerged. 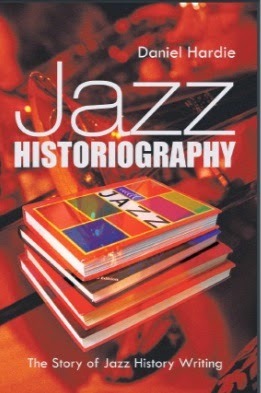 Such was the power of Jazzmen that its romantic narrative dominated the received account of jazz history until, in the late 1970’s, researchers began seriously to question its adequacy, pointing out that many statements had been accepted that could be called into question in the light of later evidence. Jazzmen was not alone in this regard. Later authors, too, credited some witnesses to jazz history with self-serving motives and perhaps lapses of memory that distorted the narrative in some way. Recently theoretical historians have sought to find ways of interpreting such anecdotes or historical remnants in such a way as to achieve a more satisfactory account of history. Three examples of such significant personalized accounts of early jazz history stand out in this respect. Each involved a highly respected musician and each illustrates distortions arising from interpretation by historians remote from the events described, particularly issues arising from decisions involving inclusion or exclusion of evidence. In 1978 Donald Marquis changed the course of jazz history by publishing In Search of Buddy Bolden, the first proper biography of the leader of what is believed to have been the first jazz orchestra. Much of what had previously known about Bolden had been gathered from stories in Jazzmen that had accrued elements of mythology. Marquis adduced evidence that many of these tall tales could not be supported and some were confounded by reference to documentation. In particular he ruled out evidence from Bunk Johnson the ‘hero’ of Jazzmen’s account of early New Orleans Jazz. Marquis believed Johnson had deliberately overstated his age in order to be able to claim that he had performed in Bolden’s orchestra in 1895 and considered him an unreliable witness. Where previous commentators might have accepted Johnson’s assertion as factual Marquis considered it dubious to say the least. Nevertheless some of Johnson’s claims had become accepted and part of the recognized narrative of early jazz history. Some historians now call such inclusions factoids - defined as “an invented fact, believed to be true because of its appearance in print.” Alternatively they define a factoid as an apparently trivial fact that appears in print. Though some historians reject the use of the term others focus their attention on such apparently trivial anecdotes and other neglected details as a means of placing evidence back into the environment from which it came. They see this as a means of creating a more accurate narrative image of a forgotten past that cannot really be recreated. By far the largest single oral account of Early Jazz appeared around 1938 in recorded interviews with Jelly Roll Morton conducted by Alan Lomax for the US Library of Congress. The interviews were made available as 78 rpm discs but not published in written form until 1950, after the official version of jazz history received via Jazzmen had been in place some 12 years. Some of the statements made by Morton were apparently disruptive to accepted interpretations of jazz history, none more so than his claim to have invented jazz in 1902. He also asserted that Buddy Bolden did not play jazz but was a ragtime player - troubling indeed. Though much of what Morton had to say was absorbed by conventional jazz history many of his claims were disregarded as self-serving. As was the case with Johnson, uncertainty about the year of Morton’s birth clouded the issue. Historians writing in the Swing era were unsure what to make of some of his claims. No one has been more beloved of Jazz Historians than Louis Armstrong but they were disturbed by his apparent departure from their strict interpretation of what represented authentic jazz style during the late 1920’s, his very successful entry into the despised popular song market and some of his apparently heretical views on performance. One of his departures was extremely distasteful. Emotional stuff! In reacting this way Schuller was responding to the historical tenor and perspective of his time, excluding such performances from the oeuvre of jazz. Among Ake’s collection of papers Elijah Wald devoted his essay to Armstrong’s apparently anomalous partiality for the Lombardo style. This was taken by Rudi Blesh, to reinforce his belief that the violin was somehow out of place in an early improvising jazz orchestra. However, a plain interpretation in the light of what we now know of early jazz performance practice might simply be that Morton was referring to the melody role of the violin – i.e. that it did not improvise or rag, even in New Orleans, but maintained the melodic impulse of the performance leaving improvisation (seen as illegitimate ‘faking’ by some contemporary critics) largely to the wind instruments. Bunk Johnson, too, referred to the violin being regularly employed in early jazz orchestras, but perhaps the most interesting of the factoids originating in his testimony was his complaint about the poor quality of the musicians with whom he had to play during the early New Orleans revival – he called them ‘emergency musicians’. He also contended that more contemporary popular songs should have been performed and he received some criticism for that. In his last recording date he did include examples of hit tunes - like ‘Chloe’, and chose skilled musicians for the date. He saw himself as a skilled performer, perhaps a musicianer, in the common terminology of his early career, having to perform with faking musicians of a lesser standard. Comments like these were largely ignored, or mentioned knowingly, probably seen as impenetrable, strange, self-serving and irrelevant to the historical narrative. Here there is a correspondence with the Armstrong enigma. How could one of the fathers of ‘New Orleans Jazz” tolerate the sweet swinging popular dance music and banal popular songs of the thirties, forties and later? Morton added to the puzzle, singing popular songs and describing jazz as hot-sweet plenty rhythm. Other contemporary witnesses also described Buddy Bolden as playing very sweetly and the theme was repeated in accounts like that of Baby Dodds, who said that the violin-led jazz music of his early days was ‘awful sweet’. The dissonance between such scraps of oral evidence and historical narratives derived from selected recordings of the early 1920’s was not interrogated until Ake and his contributors began to question their meanings. Their questioning went further, including scrutiny of decisions to exclude performers like Louis Jordan and John Coltrane from the oeuvre of legitimate jazz. However we are concerned with Early Jazz. Marquis lost little by excluding evidence from Johnson from his biography of Buddy Bolden standing as it did on a mountain of verifiable information. Though it added considerably to our understanding of the performance environment of the time the historical image of the musical milieu remained incomplete, partly because factoids such those we have considered were not understood - not interpreted outside the frame of reference of the history writers of the 1940’s and later. A more sociological interpretation, seeking to view such comments within the time perspective of the witnesses rather than that of the historians, might lead to a better understanding of the music of their times and its evolution. Though questions still remain as to the exact dates of birth of Johnson and Morton those witnesses grew up in New Orleans in a society where entertainment was focused on popular dance music dominated by a nation-wide commercialized publishing industry. So did Louis Armstrong. Bolden introduced new elements into the performance practices of the time but the violin led dance orchestra playing a proportion of sweet pop songs was the dominant medium as late as 1921. It is not surprising that Johnson thought it legitimate to play popular music or that Armstrong saw no conflict with, or betrayal of, his art while performing in the commercial music scene of his day and enjoying the sweet violin led music of the time. Much more of what Morton said probably remains to be subjected to interpretation that might further elucidate aspects of the long period during which he was a major composer and performer. Though our appreciation of the performance practice, repertoire and audiences of the first twenty years of jazz history has been considerably improved in recent times, narratives of the period known as the Jazz Age and its successor the Swing Era remain constrained between boundaries limited by definitions devised in the 1940’s - boundaries that excluded much music popularly accepted and enjoyed at the time as jazz. Musicians popular in the 1920’s like Isham Jones, (or Ben Bernie who was featured as a star performer in the first American history of jazz), disappeared forever from the approved record. Perhaps a first step towards a better appreciation of the jazz history in the period between 1917 and 1940 should be a re-examination of the many exclusion decisions that shaped the traditional account and the range of recorded material considered inauthentic. Did the word jazz mean the same in 1920 as it did in the jazz history books of the 1940’s or those of the 1990’s? Perhaps Louis Armstrong better understood the music of his time than did many later historians.